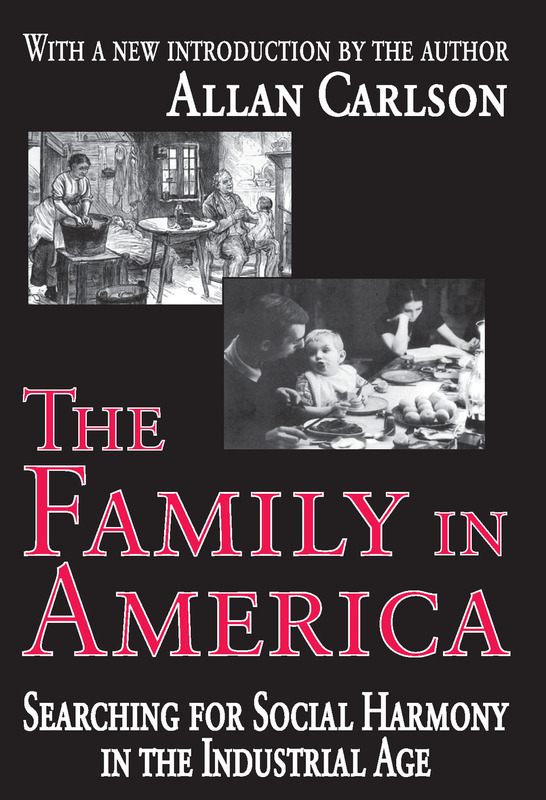 The Family in America offers a fresh interpretation of American social history, emphasizing the vital role of the family and household autonomy and threats to both imposed by industrial organization and the state. Allan Carlson shows that the United States, rather than being "born modern" as a progressive consumerist society, was in fact founded as an agrarian society composed of independent households rooted in land, lineage, and hierarchy. Carlson argues that family survival continues to be of paramount importance today. He critically examines five distinct strategies to restore a foundation for family life in industrial society, drawing on the insights of Frederic LePlay, Carle Zimmerman, and G. K. Chesterton. Carlson shows that family survival depends on the creation of meaningful, "pre-modern" household economies. This new edition includes an introduction by Allan Carlson, detailing the continued press of the industrial process onto the American family structure since initial publication of the book in 1993.